The new risk-sharing model included in the latest round of federal mortgage regulations will compel lenders to assume a part of the losses accrued from defaulted insured mortgages, a state of affairs that led the Canadian government to call on industry players to share their opinions on the new rules. The Department of Finance opened a 4-month consultation period on the new rules, which will require lending institutions to cover a specific percentage of each outstanding loan that goes into default. Prior to October 17, federal backing—and in effect, taxpayers—bore the brunt of the risk. Around 40 per cent of new mortgages from both government and private lenders are backed by mortgage insurance. “Rebalancing some of this risk towards the private sector could further incentivize and strengthen risk management practices, and as a result further mitigate taxpayer exposure,” the Finance Department stated in its consultation paper, as quoted by CBC News. 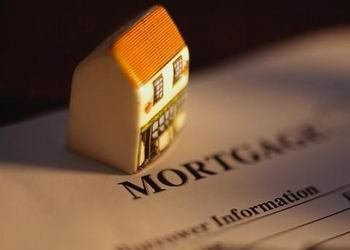 “This would alter the costs that lenders and mortgage insurers would expect to face in originating an insured mortgage, with potential impacts on both mortgage supply and pricing and mortgage insurance premium pricing,” the consultation document added. Canadian consumers and financial institutions have until February 28, 2017 to submit their written feedback to the federal government. The new rules, which came into effect last week, came amid unprecedented levels of household debt that stemmed from a prevailing environment of record-low interest rates. Insured mortgages comprise approximately 56 per cent of total outstanding residential mortgage credit. This makes sense because it will reduce potential burden on the tax payers and put the responsibility on the lenders to improve underwriting and also assume more risk associated with a profit generating activity.